The Nine Most Incredible Theaters in Michigan! 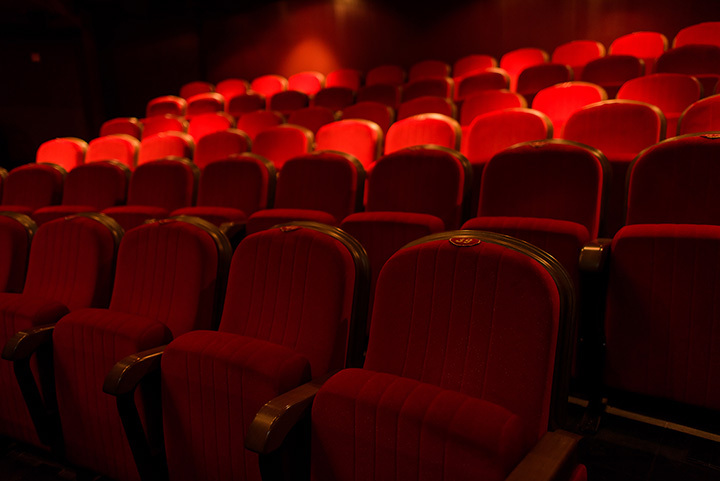 Sure, these days, when most people hear “theater,” they think of the flickering lights of the silver screen. For those who want a little more culture, however, there's a whole different kind of theater. An opulent, upscale performance awaits, and Michigan has plenty of both to offer. So put on your formal attire, grab a playbill, and let's check out nine of Michigan's most beautiful theaters! Three Rivers is home to the Riviera Theater, a 400-seat slice of history. Recently renovated and now home to a variety of cultural events ranging from movies to concerts to live theater, the Riviera Theater's existence dates all the way back to 1925. Plus, for those interested in a little unusual refreshment, the Riviera offers an attached bar that will provide an array of drinks. Traverse City once again provides an exciting entry to a series with the City Opera House. Offering 1,126 seats and built back in 1891, Traverse City's City Opera House is home to comedy shows, live theater, musical acts and plenty more. It even comes with a variety of educational events, even offering the Young Playwright's Festival to give those youthful authors a chance to stretch their creative wings and show off just what they can do. It may surprise you to find out that one of the largest theater venues in Michigan can be found in Sault Ste. Marie, but it's true. More specifically, it's the Soo Theater, a survivor of the Great Depression—it was built in 1929—that seats 750 patrons. Today, the Soo is home to educational efforts and community theater, also offering some unusual events like a Swing Dancing Night, a phenomenon which has gone out of favor in recent years following a revival in the 1990s. Dubbed the “Gateway to Downtown Saginaw,” the Temple Theater delivers a huge experience for those landing in Saginaw. Built in 1926 and seating a whopping 1,750 visitors, the theater was completely renovated back in 2002, making it a modern wonder as well as a historical venue. Now boasting a range of events from live music to dance to live theater and even film, the Temple Theater has a lot to show off and will cheerfully do so for patrons. Pontiac is home to the Flagstar Strand Theater, originally named the Strand Theater and built back in 1921 with 1,200 seats. Interestingly, the Strand's site itself calls it not only “a centerpiece for the rejuvenation of Downtown Pontiac,” but also notes that it has “900 luxury seats.” It's unusual for a theater to lose seats in a renovation, but that loss might have been worthwhile as the theater now features the only Oakland County location for Slows Bar BQ as well as a complete theater bar, along with other lounges throughout the complex, making it a full-featured complex. Grand Rapids' Civic Theater represents not only a major piece of Grand Rapids history but also a way to generate the history of tomorrow as well. It was originally built to have 1,608 seats, reports note, but some renovation efforts have driven that number down a bit. Now, it's an entire complex of four buildings, with the Meijer Majestic Theater leading the way following Meijer's gift that made the two-year renovation project possible. The theater also offers classes, an improv group, and even a traveling theatrical troupe to develop further interest. Muskegon's massive Frauenthal Center offers quite a bit in one package. Built in 1929—seemingly a fairly big year for Michigan theater—the Frauenthal Center was originally the design of an architect which developed three of the greatest movie houses in Muskegon, sufficient that these were considered on par with most anything else “outside of Detroit.” Falling prey to closure, once again a citizen's group—led by industrialist A. Harold Frauenthal—came to the rescue to revitalize the former Michigan Theater as a center for the arts. It is impossible to talk about theater in Michigan without bringing up the Fox Theater. Regarded as the “Crown Jewel” of Detroit and Michigan theater, the Fox's influence is so pervasive that the area around it is actually known as “Foxtown.” Built in 1928 to serve as the high-water mark of movie houses in the area, it offers a maximum seating of 5,174 and is host to concerts, live performances, musicals and more. View more Michigan Theaters and Playhouses.